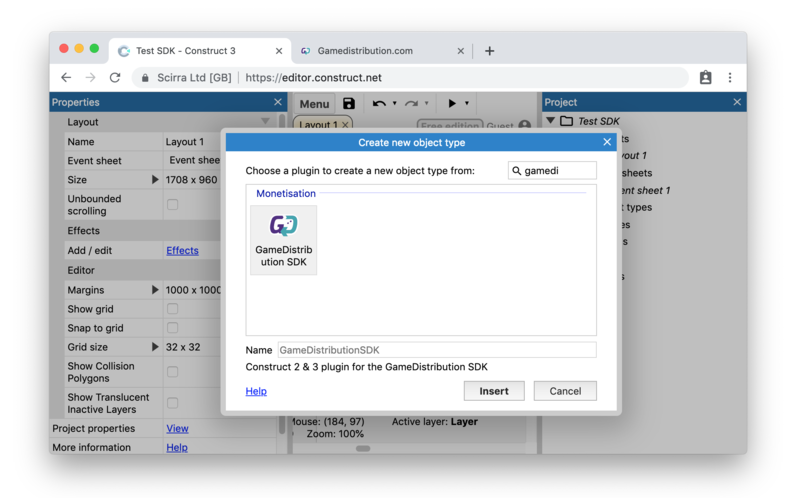 Select the new GameDistribution SDK object in the project folder. 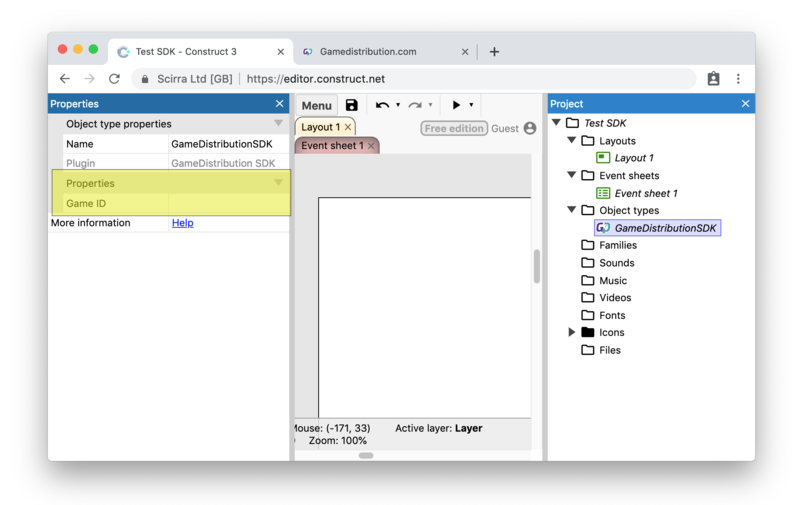 Copy your Game ID and paste it into the Game ID field in the object properties. 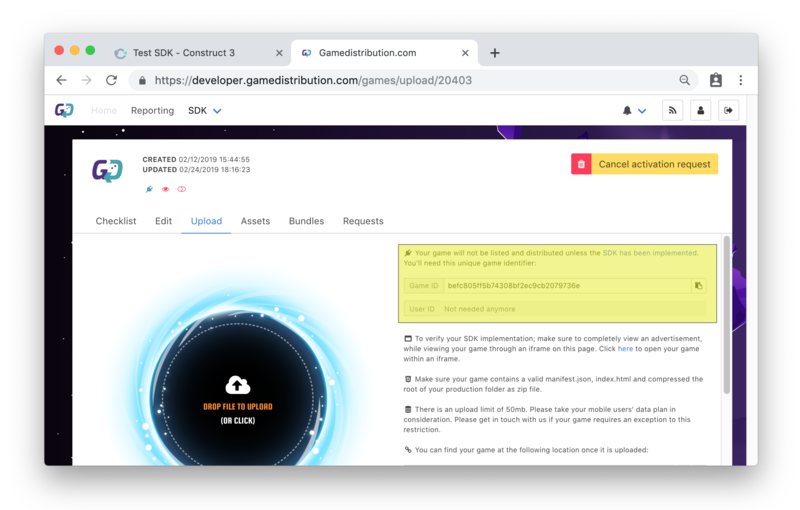 You can find your Game ID within your Gamedistribution control panel after creating a new game. Making ads appear is very easy. 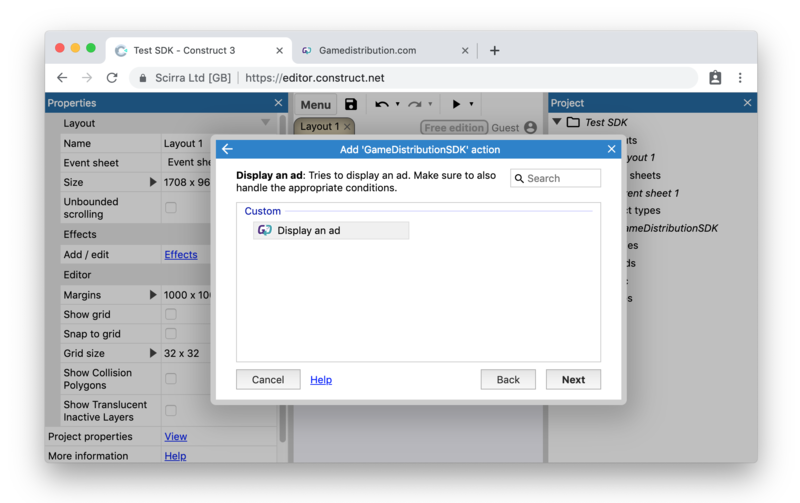 Simply use the Display an ad action from the GameDistribution SDK object within your event sheet. It is very important that you pause your game and mute any audio when an ad is being displayed. 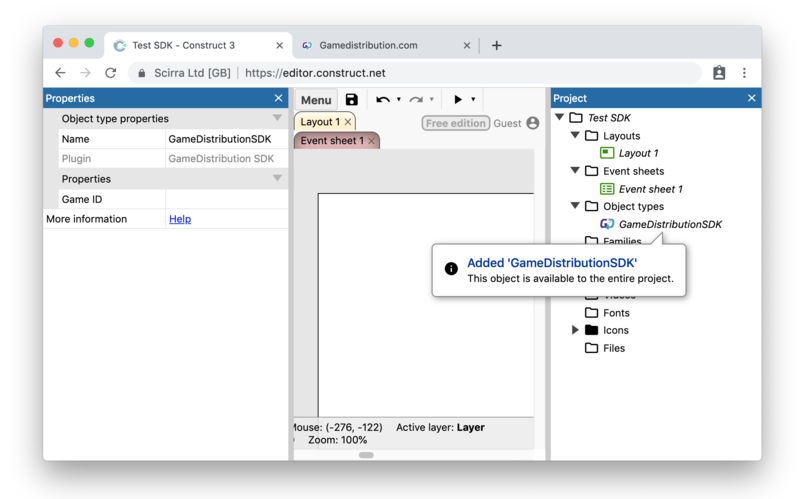 The SDK provides two events (Ad playing and Ad finished) for you to use in order to accomplish this. Have a look at this example to get an idea of how to use it.